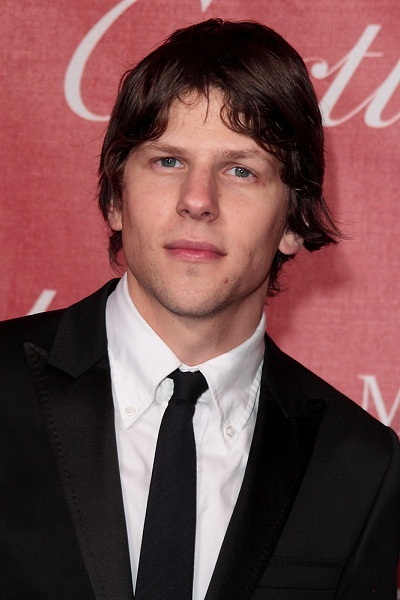 Jesse Eisenberg is an American actor, author, playwright, and humourist. He is known for playing Facebook founder Mark Zuckerberg in the film The Social Network (2010). His parents are both Jewish. His sisters are Kerri and former actress Hallie Eisenberg. Jesse is married to Anna Strout, with whom he has a son. Anna is also Jewish. One of Jesse’s paternal great-grandfathers was named Sam Eisenberg. He was from Poland. Jesse’s maternal grandfather was Joseph “Joe” Fishman (the son of Isadore/Isador Fishman and Dora/”Nora” Greenblatt/Nesenblatt). Joseph was born in New York, to parents who were Russian Jews. Jesse’s maternal grandmother was Renee Mendelsohn (the daughter of Hyman “Herman” Mendelsohn and Yetta Tarkon). Renee was born in New York, to Jewish emigrant parents. The 1930 U.S. Census lists Hyman as born in Poland and Yetta as born in Russia, while the 1940 U.S. Census states that Hyman and Yetta were both born in Russia. there is an actor of Danish descent, with a surname similar to Skarsgård, who played a Jewish character in “An Education”. He’s Peter Sarsgaard. there seems to be a wave of trolls coming on this site and calling people “racist” without any real reason to do so. pretty sad. He played Mark Zuckerberg in Social Network. I have seen Mark’s girlfriend, though, and she’s not cute at all. But, hey, if they’re in it for love, more power to them! Yeah . . . they’re both pretty damn unattractive. But, hey, he’s a billionaire, so I guess she’s living it up.